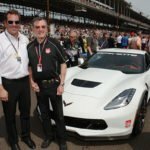 In today’s blog post we are looking back to the 2015 Indianapolis 500 at the Official Corvette Pace Car. Below is a press release the Chevrolet sent out to the media. 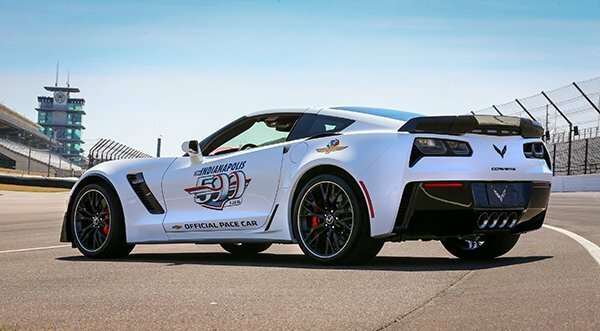 At the end of the press release is a photo gallery of the 2015 Indianapolis 500 Corvette Pace Car. 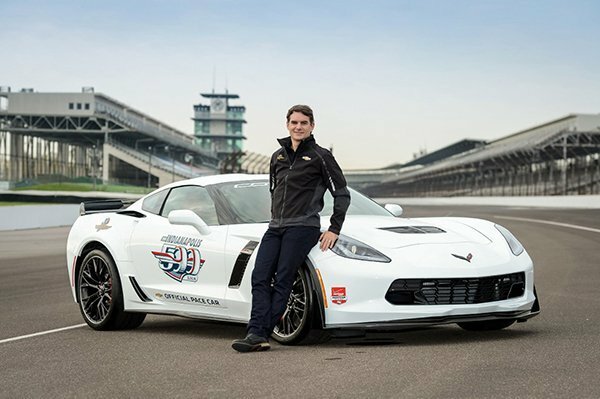 INDIANAPOLIS – Five-time Brickyard 400 winner and four-time NASCAR Sprint Cup champion Jeff Gordon will drive a Corvette Z06 pace car for the 99th running of the Indianapolis 500 mile race, May 24 at the Indianapolis Motor Speedway. 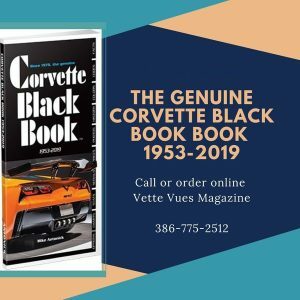 It is the 13th time a Corvette has served as the official pace car, dating to 1978, and the 26th time a Chevrolet has led the pack for “The Greatest Spectacle in Racing.” Corvette has served as the pace car more than any other vehicle in the race’s history. Gordon, who grew up in nearby Pittsboro, Ind., is no stranger to the Indianapolis Motor Speedway. In 1994 he won the inaugural Brickyard 400 – the first-ever NASCAR race at the Brickyard, and has visited the winner’s circle there four more times. That makes him one of only two five-time winners at Indy in any series. Michael Schumacher won five Formula One races there. With 650 supercharged horsepower, a seven-speed manual transmission and a track-capable chassis system, Gordon will have no trouble keeping in front of the race field in the production-spec Corvette Z06. Featuring an Arctic White exterior and Adrenaline Red interior, only its unique Indy graphics package and safety strobe lights distinguish it from other production models. Like Gordon, Chevrolet has a long, shared heritage with the Indianapolis Motor Speedway. 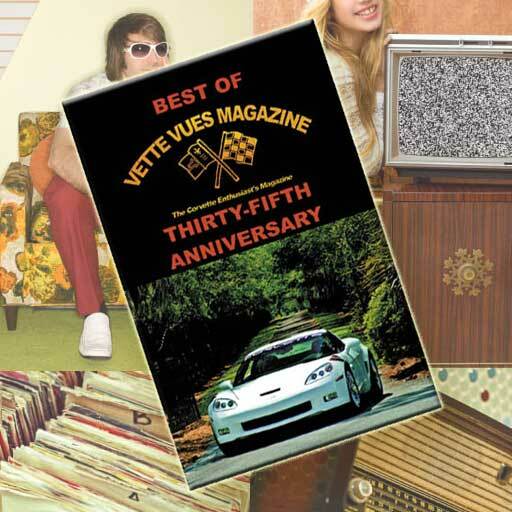 Chevrolet was founded in 1911, the year of the inaugural 500-mile race, and the Chevrolet brothers – company co-founder Louis, Arthur and Gaston – all competed in early Indy 500 races. Arthur Chevrolet competed in the 1911 race and Gaston Chevrolet won it in 1920. 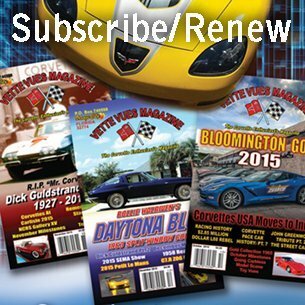 The Z06 rejoined the Corvette lineup for 2015 as the most capable model in the iconic car’s 62-year history. It stretches the performance envelope for Corvette with unprecedented levels of aerodynamic downforce – and it is the first Corvette Z06 to offer a supercharged engine, an eight-speed paddle-shift automatic transmission and, thanks to a stronger aluminum frame, a removable roof panel. The Z07 package adds adjustable front and rear aero components for unprecedented aerodynamic downforce, Michelin Pilot Super Sport Cup tires for enhanced grip, and Brembo carbon ceramic-matrix brake rotors that improve braking performance and contribute to greater handling through reduced un-sprung weight. The Z06 also offers an all-new, industry-leading Performance Data Recorder that enables users to record high-definition video, with telemetry overlays, of their driving experiences on and off the track. Race fans can follow Jeff Gordon and his Corvette Z06 Pace Car experience on Twitter at #JGPace2Race. FAST FACT: The first Chevrolet Indianapolis 500 pace car was a 1948 Fleetmaster Six convertible, driven by three-time Indy 500 winner Wilbur Shaw, who also became president of Indianapolis Motor Speedway.